Microsoft announced the release date of Microsoft Band 2, which is a new version of Microsofts popular fitness tracker. The Microsoft Band 2 has additional smartwatch functionality. The design is a little bit similar to the Samsung Gear Fit. The display of the Microsoft Band 2 is a curved AMOLED display with 320 x 128 pixels. On the screen you will be able too see messages and relevant fitness information. As wearable is stating here the screen is “easy to read in all lighting situations and, as you’d expect, simple to use”. In addition, the Microsoft Band 2 is fully compatibel with Windows Phone, Android and iOS. You do not require extra apps and will get what you see. Of course it is possible to move the tiles on your screen and customize it to your needs. But let us get now to the release date and the price of the Microsoft Band 2. The Microsoft band is available in USA on October 30, 2015. 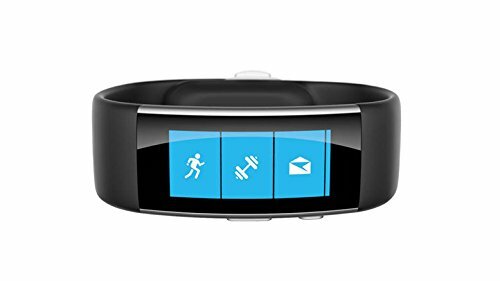 Microsofts brand new fitness band is available for $249.99 in the US. And if you live in the UK you will get it at the price of £199.99 when you order it from the official Microsoft store. The Microsoft Band 2 is a fitness band which is created to enable you to live healthier and achieve more. The Band tracks your heart rate, exercise, calorie burn and sleep quality, and provides notifications about your emails, texts and calendar alerts. Special designed sensors track data to running, biking and golfing. Besides that, Microsoft does not recommend to use it while swimming. Special technology from Microsoft health gives you valuable insights based on your personal data. Bluetooth 4.0 low energy and battery capacity of 48 hours makes it easy for you to stay outside for a long time and stay connected to your smartphone wirelessly. Microsoft Band 2 and Microsoft Health let you share your activity data with your favorite fitness apps from your appstore, and give you access to experiences developed with superior sports and lifestyle brands.